Draintony are licensed and insured experts specializing in plumbing services: Drain Services, Basement Waterproofing and Emergency Plumbing. We are a locally owned and operated plumbing company, providing residential and commercial owners plumbing services you can trust in Toronto, Scarborough, Vaughan, Mississauga, Oakville and many more areas! Our team at Draintony is dedicated to providing you premier plumbing quality, premier plumbing services, giving you a total peace of mind for your plumbing needs. Draintony is available 24/7 to provide you emergency plumbing services at no extra cost. We don’t want your emergency to wait around and break the bank. Contact us today to Get a Free Quote! Draintony are licensed drain plumbers and insured experts in all aspects, providing you services you can trust for your plumbing needs. 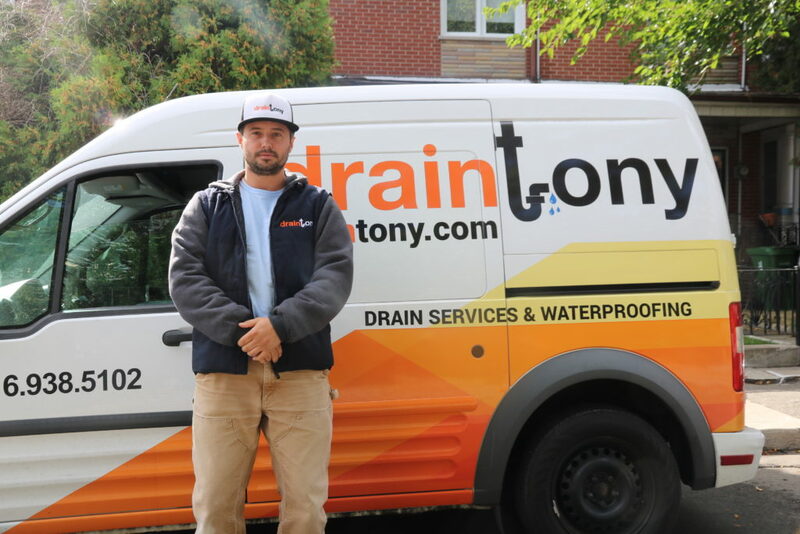 Draintony is a locally owned and operated plumbing company, providing you plumbing services you can trust across the GTA. BBB has determined that Draintony Inc meets Standards of BBB Accreditation, which include a commitment to make a good faith effort to resolve any consumer complaints. Draintony provides 25 years warranty! We aim to provide premier plumbing quality, premier plumbing services; giving you a total peace of mind for your plumbing needs. Draintony is a recipient of HomeStars Best of 2018 with an average customer rating of 10/10. You can view our profile on HomeStars and read what our clients are saying about Draintony. If the drains in your residential or commercial property aren’t functioning as they should, don’t wait for your drain repair emergency to avoid experiencing problems in your properties. Draintony offers Drain Services such as Drain Cleaning, Sewer Camera Inspection and many more! If your basement is showing signs of water damage such feeling humid, showing visible moisture spots, or producing a musky or moldy smell, Draintony provides a wide range of Basement Waterproofing services to keep your home safe and dry such as Sump Pump Installation, Weeping Tile Installation and many more! If you need Emergency Plumbing services such as Sewer Backup, Clogged Drain, and Flooded Basement in your residential or commercial properties, Draintony is available 24/7 to provide you emergency plumbing services. We wouldn’t want your emergency to wait around and break the bank.